Several factors contribute to the development of wrinkles, sallow skin, facial folds, and an aged appearance. As we age, these changes become more apparent and add years to our face. Other factors including genetics, repeated facial expressions such as smiling or frowning, and sunlight play a role in speeding the aging process. Dermal fillers help reduce fine lines in the skin, and restores an overall fuller appearance. 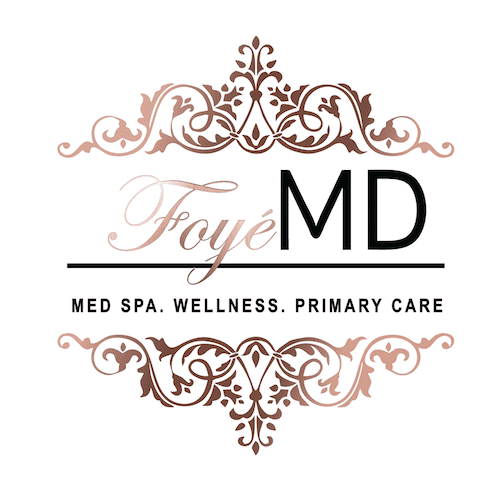 At Foyé MD and Spa in Houston, Texas, we are able to help patients reduce the appearance of facial folds, wrinkles and sagging underlying tissue with dermal fillers. Schedule a complimentary consultation today to find out which dermal filler option is right for you. Most dermal fillers contain the active ingredient hyaluronic acid (HA). This is a natural substance commonly used to treat skin folds and moderate-severe wrinkles. But, every dermal filler is not the same. 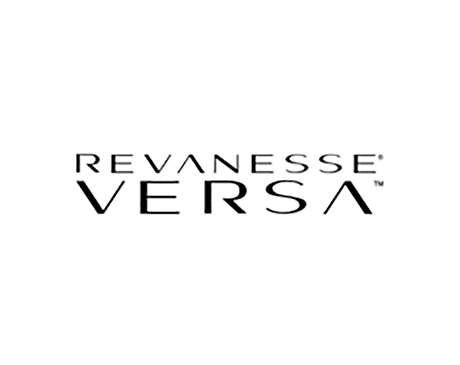 The new Revanesse Versa filler is remarkable due to the advanced proprietary formula and milling technology. This HA filler’s unique particle shape provides the ideal balance of volume and smoothness. In addition, research has shown that Versa produces 24 percent less swelling than another widely used HA filler. Less swelling means less discomfort and faster recovery time. Is Revanesse Versa safe to use? Yes. Revanesse Versa is FDA-approved and works with your skin’s natural water content to create a smooth, uniform look. How long do Revanesse Versa results last? The Revanesse Versa solution has a high molecular weight; this, in addition to it’s particle shape, is why the body naturally accepts the solution much easier compared to other dermal fillers, and breaks down more slowly over time. With optimal treatment, the its results can last up to 2 years. Another option in dermal fillers is the non-surgical, FDA-approved Juvederm, which is used to smooth away moderate to severe wrinkles (such as smile lines) instantly. It can also be used to plump the lips and restore lost volume to the face to create a fresher, more youthful appearance. Juvederm is a clear gel-like substance that is composed of hyaluronic acid (HA). This substance exists naturally in the body and provides skin with its moisture and creates a youthful appearance. The level of HA in our bodies unfortunately decreases with age. Juvederm adds this back into the skin, restoring the lost volume that results from the facial muscles coming closer to the surface. The result is a smoothing out of unsightly wrinkles or adding fullness to thin lips. There are minimal risks associated with dermal fillers and Juvederm is the only HA filler that is FDA-approved to last up to one year with optimal treatment. 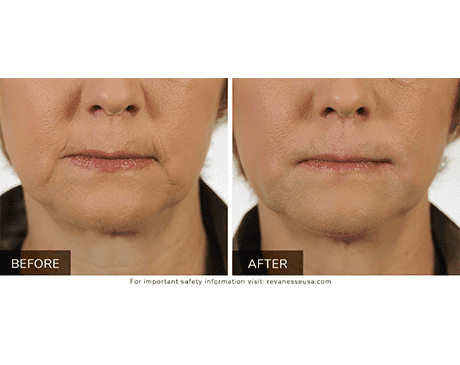 Juvederm can treat moderate to severe wrinkle lines and folds around the nose and mouth area, including smile lines, marionette lines, and other creases around the lips. Juvederm can also be used to treat dark circles under the eyes, create definition in the chin and cheeks, plump the lips, and can help with brow lifts. Is Juvederm safe to use? 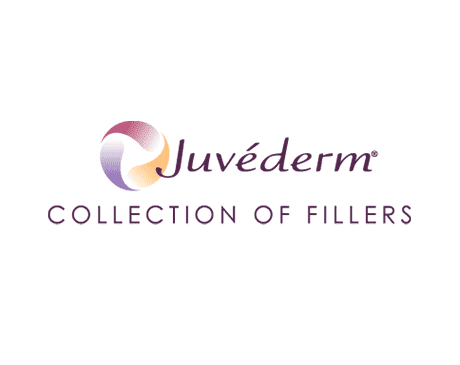 Juvederm is FDA-approved to be used in a variety of cosmetic treatments. Juvederm has a non-animal-based hyaluronic acid solution, which limits the risk of allergic reactions or disease transmission. The solution is also bio-compatible since it is naturally occurring. Some mild side effects of Juvederm include temporary redness and swelling around the injection site. These symptoms typically dissipate within a few days. How long will Juvederm results last? Results can be seen immediately after receiving treatment, and can last a minimum of approximately 6 months. Can the effects of Juvederm be reversed? Absolutely! If you are not happy with the results of your Juvederm treatment, the filler may be dissolved with a special enzyme to reverse the process, usually within 24 hours. Can Juvederm be combined with other procedures? Yes! Different fillers and neurotoxin inejctables, such as BOTOX can be used together to treat various facial areas. What should I expect before receiving Juvederm treatment? During the initial consultation, our dermal filler specialists will discuss your cosmetic goals to determine if Juvederm is the best dermal filler or treatment choice for you. Before treatment, we recommend that patients avoid taking asprin or other pain-killers containing ibuprofen, in addition to high doses of vitamin E supplements or blood thinners. Juvederm candidates should also avoid drinking red wine or taking multi-vitamins for 2 days prior to receiving treatment. The Juvederm solution will be injected into the treatment area with a fine needline. A local anesthetic may be used to reduce discomfort. The procedure is simple and quick, and offers limited downtime. You may experience mild swelling and bruising, but only in limited cases. We may recommend taking Tylenol for any discomfort you experience following your treatment. Losing volume is one of the major signs of aging, though it might not be as emphasized as others, such as wrinkles. A lack or loss of volume in the cheek area can make the face look sunken as well as exaggerate the look of fine lines. 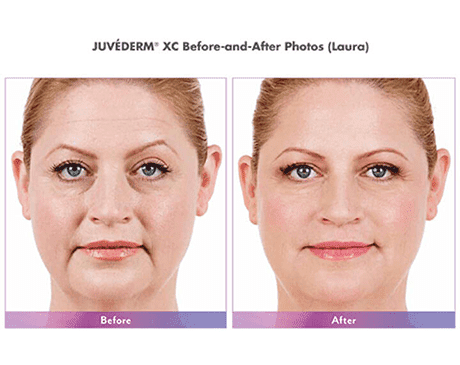 Juvederm Voluma XC is the first and only FDA-approved injectable gel that helps to restore the skin’s youthful plumpness while giving natural-looking results. It requires no downtime or recovery and can also be used to eliminate the embarrassment of a double chin. 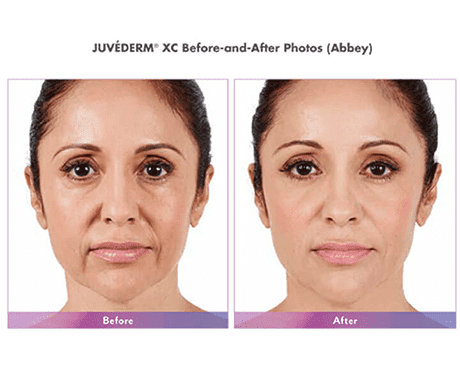 Juvederm Voluma XC is administered using a fine needle (to minimize bruising) and targets specific areas to boost their volume and contour the face. It takes just minutes for the skin to be restored to a firm, plump state. 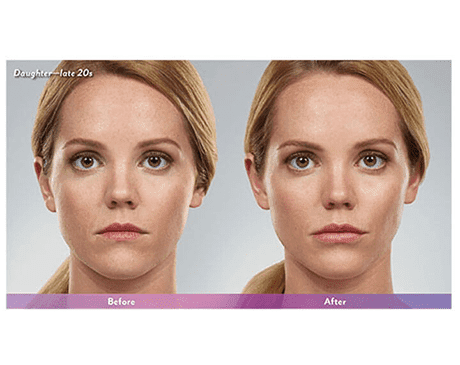 How is Juvederm Voluma XC different from traditional Juvederm? While both dermal fillers are similar in nature, Voluma XC is a firmer solution and is more often used for the face’s deep layers around teh upper cheek. Voluma XC, as a result, offers more volume to the cheekbone, and lasts longer compared to other hyaluronic acid fillers. Patients may experience mild to moderate swelling, bruising or tenderness around the the injection site. 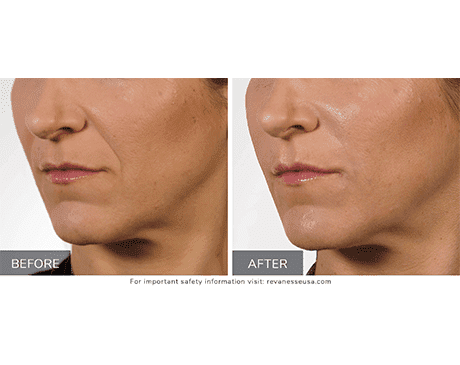 You can notice results from Voluma XC treatment almost immediately after receiving the injection. With only one treatment, you can see results last up to two years. Can the effects of Voluma XC be reversed? Yes! Using an enzyme called hyaluronidase, we can dissolve the filler to restore your original appearance in the event that you are not satisfied with your results. Can Voluma XC be combined with other procedures? Yes! 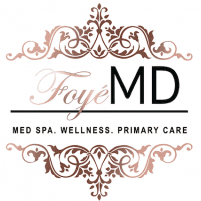 Different types of dermal fillers and neurotoxins can be combined to treat a variety of your facial cosmetic needs. With Voluma XC, we may even recommend a laser treatment. Our team will be able to determine which combination of solutions is best for your aesthetic goals. What should I expect before receiving Voluma XC treatment? During your first consultation, our team will discuss your cosmetic goals and determine if Voluma XC is the best treatment option for your case. Before treatment, we may recommend that you avoid taking pain-killers such as aspirin or ibuprofen, vitamin E supplements, multivitamins or drinking red wine. What should I expect during Voluma XC treatment? 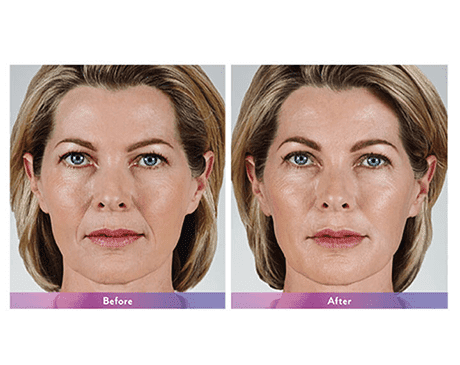 The Voluma XC treatment is simple and takes a short amount of time, and results in little down-time. During the treatment, we will inject the Voluma XC solution, with a fine needle. To improve your comfort, we may apply a local anesthetic to the area. What should I expect after Voluma XC treatment? You may experience mild swelling or bruising for the next few days following your treatment. We may recommend taking Tylenol for any discomfort. Since there’s no downtime, you can resume normal activities immediately after receiving treatment.